The Big Idea: All five senses help kids discover their environment. Soap Sensation: Use bath time to learn and experiment using the senses! Lather kids with soap and watch bubbly suds form. Invite them to feel the wet, slippery sensation against their skin, and observe the bubbles—are they big or small, transparent (clear) or opaque (cloudy)? Pot and Pan Band: Take out a pot, pan, and spoon. Together, experiment with sound by creating your own musical rhythm! Listen as you drum softly and then loudly with the spoon or with your hand! Notice the different sounds the pot and pan make. Fruity Discovery: Snack time is a great time to exercise those taste buds! 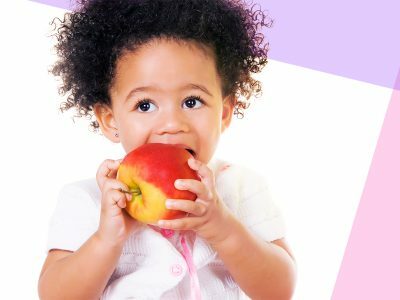 Give kids small pieces of fruit (such as bananas and apples) and invite them to smell each fruit before tasting it. Compare the sweet taste and mushy texture of the banana to the tart taste, and crunchy texture of the apple. The Wonders of Water: Use the senses as you experiment with water! Find three plastic cups and fill one with cold water, one with warm water (make sure it’s not too hot! ), and one with an ice cube. Explain that the cups hold water in different temperatures. Encourage kids to place their hand in each cup. How does it feel? What do you notice if you pour water from one cup into another cup?